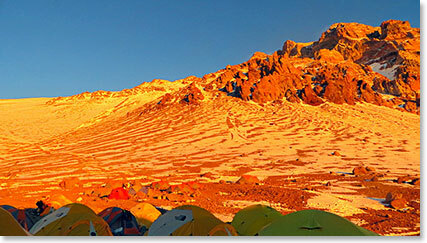 Standing at 22,841ft/6,962m, the summit of Aconcagua is a challenging goal for any mountaineer. 12 climbers from around the world are about to join Wally Berg and the BAI Bolivian staff in Argentina to take on this incredible challenge. This expedition team will spend three weeks in this stunning South American country traveling through beautiful cities, acclimatizing, and climbing in hopes of reaching this mighty mountains’ summit. Follow along on their daily dispatches as this group of climbers attempt to reach the highest point in the Western Hemisphere. 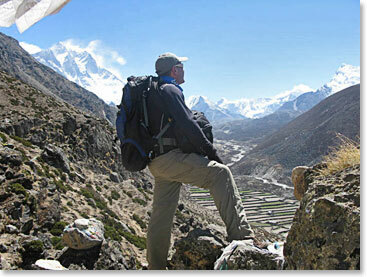 This will be a special climb for long time BAI adventurer Trevor Stuart. He will be climbing Aconcagua in support of YWCA Lethbridge District. Trevor’s campaign “Elevating lives, one peak at a time” is his effort to raise at least $250,000 for YWCA Harbour House and to raise awareness about family violence issues. Donations can be made through the YWCA Lethbridge District website at : www.ywcalethbridge.org. The link will be under the tab called EVENTS on the website. Please take the time to read more about Trevor’s ‘Y’ and listen to his short YouTube video as well! You will get a great feel for who and what Trevor is all about.